Even if Rise of the Tomb Raider came to PC a few months late, at least the extras are in sync with console—despite those extras being served lukewarm. 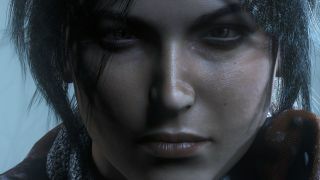 Rise of the Tomb Raider's season pass has one last chance to fix itself in our memories, with the final instalment, Cold Darkness Awakened, releasing March 29. As is Tomb Raider tradition, the weirdest stuff goes down in Russia, so Cold Darkness Awakened takes you off to a decommission Cold War research facility in Siberia. Some form of 'affliction' (say, a virus?) spreads, turning soldiers into "bloodthirsty killers who thrive on carnage". So zombies, with earlier reports suggesting it will be a wave-based challenge. If you don't already own the season pass, Cold Darkness Awakened will cost $10.